Today, I'd like to write about English Plus' last weekend's activity. 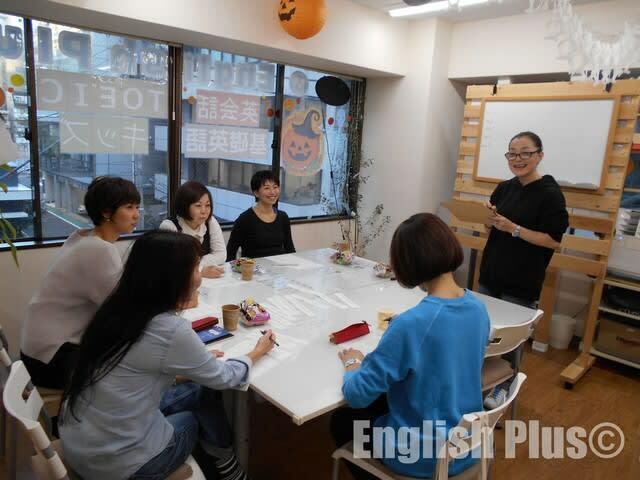 Last Saturday, October 27th, we held "Pronunciation Clinic Vol.2" at English Plus. We began this pronunciation activity this August, which was a good activity, so we decided to hold another one this time. This time, the main topic was about "Why can't we communicate smoothly? ", and our instructor Haruka taught some tips about pronunciation. It was a 90-min activity, and there were lecture and practice parts. Everyone who joined this activity seemed to enjoy this activity. We really thank those who joined this time. Since it was Halloween season, we gave each participant "special Halloween sweets." November has just begun, and it means we have only 2 months left this year. Even though we don' have much time left this year, we're planning to hold one or two activities this year. If you are a student at English Plus, and have time, please join us next time! About English Plus lessons and activities, please click English Plus' Official Website. 今日の英語でのひとこと："Thank those who joined the activity!"